Native American activists are making a final push to urge President Obama to grant executive clemency to activist Leonard Peltier. Peltier was convicted of killing two agents in a shootout between the FBI and the American Indian Movement (AIM) activists during the 1973 siege of Wounded Knee. Witnesses say two unmarked cars drove onto Lakota property, and a firefight broke out resulting in the death of two FBI officers and one native man. Peltier was arrested after a massive manhunt and extradition from Canada and sentenced to two life sentences after ballistic evidence matched shell casings with the AR-15 he reportedly fired. Peltier’s story has become a rallying issue for native rights activists and recently gathered the support of former US Attorney James Reynolds who publicly called upon President Obama for the release in a statement released earlier this week. Since taking office, Obama has extended acts of clemency for 1,324 individuals, one of the largest for a president. Cynthia Dunne is a lawyer with the Leonard Peltier Defense Committee. She says his failing health conditions and age of 72 makes this his last chance for freedom. 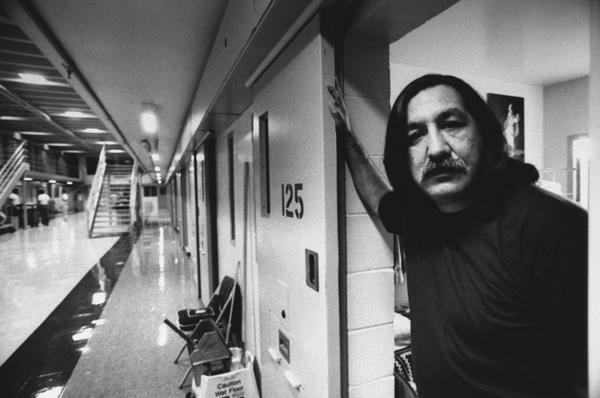 If unpardoned by President Obama, the next opportunity for Peltier’s parole would be in 2024. Although there’s a lot of focus on the IUCN this week…there’s a different conference beginning today that focuses on native rights issues. The International Indian Treaty Council is hosting its annual meeting this year in Hawai‘i. Indigenous leaders from First Nation groups around the world use the annual meeting to discuss issues around decolonization, sovereignty and self-determination.